(Earth Matters) In de afgelopen jaren heeft een groeiende groep mensen met verbazing ontdekkingen gedaan over de hiaten, fraude en geloof binnen de wetenschap. Wat is het probleem en hoe erg is het eigenlijk? In deze aflevering van The Corbett Report staat de schijnwerper gericht op een reeks van onderling verbonden crisissen in de wetenschap. De manier waarop de institutionele wetenschap vandaag de dag wordt beoefend wordt hier niet alleen blootgelegd, ook de impact op onze samenleving die steeds meer van de wetenschap afhankelijke is komt onheilspellend naar voren. Given how widely the study’s surprising conclusion was publicized—from the pages of Bild, Europe’s largest daily newspaper to the TV sets of viewers in Texas and Australia—that demonstration was remarkably successful. But although it’s tempting to write this story off as a demonstration about gullible journalists and the scientific illiteracy of the press, the hoax serves as a window into a much larger, much more troubling story. That story is The Crisis of Science. 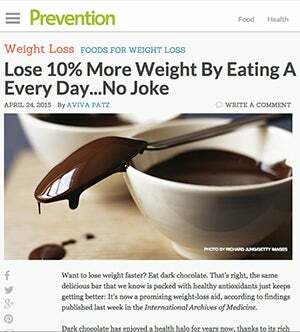 What makes the chocolate weight loss study so revealing isn’t that it was completely fake; it’s that in an important sense it wasn’t fake. Bohannes really did conduct a weight loss study and the data really does support the conclusion that subjects who ate chocolate on a low-carb diet lose weight faster than those on a non-chocolate diet. In fact, the chocolate dieters even had better cholesterol readings. The trick was all in how the data was interpreted and reported. JOHN IOANNIDIS: This is a paper that is practically presenting a mathematical modeling of what are the chances that a research finding that is published in the literature would be true. And it uses different parameters, different aspects, in terms of: What we know before; how likely it is for something to be true in a field; how much bias are maybe in the field; what kind of results we get; and what are the statistics that are presented for the specific result. I have been humbled that this work has drawn so much attention and people from very different scientific fields—ranging not just bio-medicine, but also psychological science, social science, even astrophysics and the other more remote disciplines—have been attracted to what that paper was trying to do. Since Ioannidis’ paper took off, the “crisis of science” has become a mainstream concern, generating headlines in the mainstream press like The Washington Post, The Economist and The Times Higher Education Supplement. It has even been picked up by mainstream science publications like Scientific American, Nature and phys.org. So what is the problem? And how bad is it, really? And what does it mean for an increasingly tech-dependent society that something is rotten in the state of science? To get a handle on the scope of this dilemma, we have to realize that the “crisis” of science isn’t a crisis at all, but a series of interrelated crises that get to the heart of the way institutional science is practiced today. First, there is the Replication Crisis. This is the canary in the coalmine of the scientific crisis in general because it tells us that a surprising percentage of scientific studies, even ones published in top-tier academic journals that are often thought of as the gold standard for experimental research, cannot be reliably reproduced. This is a symptom of a larger crisis because reproducibility is considered to be a bedrock of the scientific process. In a nutshell, an experiment is reproducible if independent researchers can run the same experiment and get the same results at a later date. It doesn’t take a rocket scientist to understand why this is important. If an experiment is truly revealing some fundamental truth about the world then that experiment should yield the same results under the same conditions anywhere and at any time (all other things being equal). Well, not all things are equal. In the opening years of this decade, the Center for Open Science led a team of 240 volunteer researchers in a quest to reproduce the results of 100 psychological experiments. These experiments had all been published in three of the most prestigious psychology journals. The results of this attempt to replicate these experiments, published in 2015 in a paper on “Estimating the Reproducibility of Psychological Science,” were abysmal. Only 39 of the experimental results could be reproduced. Worse yet for those who would defend institutional science from its critics, these results are not confined to the realm of psychology. In 2011, Nature published a paper showing that researchers were only able to reproduce between 20 and 25 per cent of 67 published preclinical drug studies. They published another paper the next year with an even worse result: researchers could only reproduce six of a total of 53 “landmark” cancer studies. That’s a reproducibility rate of 11%. These studies alone are persuasive, but the cherry on top came in May 2016 when Naturepublished the results of a survey of over 1,500 scientists finding fully 70% of them had tried and failed to reproduce published experimental results at some point. The poll covered researchers from a range of disciplines, from physicists and chemists to earth and environmental scientists to medical researchers and assorted others. So why is there such a widespread inability to reproduce experimental results? There are a number of reasons, each of which give us another window into the greater crisis of science. The simplest answer is the one that most fundamentally shakes the widespread belief that scientists are disinterested truthseekers who would never dream of publishing a false result or deliberately mislead others. JAMES EVAN PILATO: Survey sheds light on the ‘crisis’ rocking research. More than 70% of researchers have tried and failed to reproduce another scientist’s experiments, and more than half have failed to reproduce their own experiments. Those are some of the telling figures that emerged from Nature’s survey of 1,576 researchers who took a brief online questionnaire on reproducibility in research. Data on how much of the scientific literature is reproducible are rare and generally bleak. The best-known analyses, from psychology1 and cancer biology2, found rates of around 40% and 10%, respectively. Last year, Kohei Yamamizu of the Center for iPS Cell Research and Application was found to have completely fabricated the data for his 2017 paper in the journal Stem Cell Reports, and earlier this year it was found that Yamamizu’s data fabrication was more extensive than previously thought, with a paper from 2012 also being retracted due to doubtful data. Another Japanese researcher, Haruko Obokata, was found to have manipulated images to get her landmark study on stem cell creation published in Nature. The study was retracted and one of Obokata’s co-authors committed suicide when the fraud was discovered. Similar stories of fraud behind retracted stem cell papers, molecular-scale transistor breakthroughs, psychological studies and a host of other research calls into question the very foundations of the modern system of peer-reviewed, reproducible science, which is supposed to mitigate fraudulent activity by carefully checking and, where appropriate, repeating important research. There are a number of reasons why fraud and misconduct is on the rise, and these relate to more structural problems that unveil yet more crises in science. Like the Crisis of Publication. It’s easy to see how fraudulent or irreproducible data results from this pressure. The pressure to publish in turn puts pressure on researchers to produce data that will be “new” and “unexpected.” A study finding that drinking 5 cups of coffee a day increases your chance of urinary tract cancer (or decreases your chance of stroke) is infinitely more interesting (and thus publishable) than a study finding mixed results, or no discernible effect. So studies finding a surprising result (or ones that can be manipulated into showing surprising results) will be published and those with negative results will not. This makes it much harder for future scientists to get an accurate assessment of the state of research in any given field, since untold numbers of experiments with negative results never get published, and thus never see the light of day. But the pressure to publish in high-impact, peer-reviewed journals itself raises the specter of another crisis: The Crisis of Peer Review. The peer review system is in fact rife with abuse, but few cases are as flagrant as that of Hyung-In Moon. Moon was a medicinal-plant researcher at Dongguk University in Gyeongju, South Korea, who aroused suspicions by the ease with which his papers were reviewed. Most researchers are too busy to review other papers at all, but the editor of The Journal of Enzyme Inhibition and Medicinal Chemistry noticed that the reviewers for Moon’s papers were not only always available, but that they usually submitted their review notes within 24 hours. When confronted by the editor about this suspiciously quick work, Moon admitted that he had written most of the reviews himself. He had simply gamed the system, where most journals ask researchers to submit names of potential reviewers for their papers, by creating fake names and email addresses and then submitting “reviews” of his own work. Beyond the incentivization of fraud and opportunities for gaming the system, however, the peer review process has other, more structural problems. In certain specialized fields there are only a handful of scientists qualified to review new research in the discipline, meaning that this clique effectively forms a team of gatekeepers over an entire branch of science. They often know each other personally, meaning any new research they conduct is certain to be reviewed by one of their close associates (or their direct rivals). This “pal review” system also helps to solidify dogma in echo chambers where the same few people who go to the same conferences and pursue research along the same lines can prevent outsiders with novel approaches from entering the field of study. In the most egregious cases, as with researchers in the orbit of the Climate Research Unit at the University of East Anglia, groups of scientists have been caught conspiring to oust an editorfrom a journal that published papers that challenged their own research and even conspiring to “redefine what the peer-review literature is” in order to stop rival researchers from being published at all. So, in short: Yes, there is a Replication Crisis in science. And yes, it is caused by a Crisis of Fraud. And yes, the fraud is motivated by a Crisis of Publication. And yes, those crises are further compounded by a Crisis of Peer Review. But what creates this environment in the first place? What is the driving factor that keeps this whole system going in the face of all these crises? The answer isn’t difficult to understand. It’s the same thing that puts pressure on every other aspect of the economy: funding. Modern laboratories investigating cutting edge questions involve expensive technology and large teams of researchers. The types of labs producing truly breakthrough results in today’s environment are the ones that are well funded. And there are only two ways for scientists to get big grants in our current system: big business or big government. So it should be no surprise that “scientific” results, so suspectible to the biases, frauds and manipulations that constitute the crises of science, are up for sale by scientists who are willing to provide dodgy data for dirty dollars to large corporations and politically-motivated government agencies. TOM CLARKE: 64,000 people dead. Tens of thousands hospitalized. A country crippled by a virus. The predictions of the impact of swine flu on Britain were grim. The government’s response: Spending hundreds of millions of pounds on antiviral drugs and vaccines adverts and leaflets. But ten months into the pandemic, only 355 Britons have died and globally the virus hasn’t lived up to our fears. Were government’s misled into preparing for the worst? Politicians in Brussels are now asking for an investigation into the role pharmaceutical companies played in influencing political decisions that led to a swine flu spending spree. WOLFGANG WODARG: There must be a process to to get more transparency [about] how the decisions in the WHO function and who is influencing the decisions of the WHO and what is the role of pharmaceutical industry there. I’m very suspicious about the processes which are behind this pandemic. TOM CLARKE: The Council of Europe Committee want the investigation to focus on the World Health Organization’s decision to lower the threshold required for a pandemic to be formally declared. MARGARET CHAN: The world is now at the start of the 2009 influenza pandemic. REPORTER: When this happened in June last year, government’s had to activate huge, pre-prepared contracts for drugs and vaccines with manufacturers. They also want to probe ties between key WHO advisors and drug companies. PAUL FLYNN: Who is deciding what the risk is? Is it the pharmaceutical companies who want to sell drugs, or is it someone making a decision based on the perceived danger? In this case it appears that the danger was vastly exaggerated. And was it exaggerated by the pharmaceutical companies in order to make money? JAMES CORBETT: And a perfect example of that came out just in the past month where it was discovered, revealed—”Oh my God! Who would have thought it?”—people who consume artificial sweeteners like aspartame are three times more likely to suffer from a common form of stroke than others. Who would have thought it (except everyone who’s been worming warning about aspartame for decades and decades)? And this is particularly galling, I suppose, because if you go back even a couple of years ago the paper of record, the “Old Gray Lady,” the New York Times (and every other publication, to be fair) that ever tried to address this would always talk about sweeteners as being better than sugar for you. And they would point to a handful of studies. The same studies every time, including—I mean, just as one example this 2007 study which was a peer review study [that went] through various different studies that had been published, and this was done by a “panel of experts” as it was said at the time. And it was cited in all of these different reports by the New York Times and others as showing that aspartame was even safer than sugar and blah blah blah. And when you actually looked at the study itself you found that—lo and behold!—the “panel of experts” was put together by something called “the burdock group” which was a consulting firm that worked for the food industry amongst others and was in that particular instance hired by ajinomoto, who people might know as a producer of aspartame. So, yes, you have the aspartame manufacturers hiring consultants to put together panels of scientific scientific experts that then come out with the conclusion that, “Yes! Aspartame is sweet as honey and good for you like breathing oxygen. It’s just so wonderful! Oh, it’s like manna from heaven!” And lo and behold they were lying. Who would have thought it? Who would have imagined that the scientific process could be so thoroughly corrupted? Sadly, there is no lack of examples of how commercial interests have skewed research in a range of disciplines. In some cases, inconvenient data is simply hidden from the public. This was what happened with “Project 259,” a feeding experiment in which lab rats were separated into two groups: One was given a high-sugar diet and the other was given a so-called “basic PRM diet” of cereal meals, soybean meals, whitefish meal, and dried yeast. The results were astounding. Not only did the study provide the first experimental evidence that sugar and starch are actually metabolized differently, but it also found that “sucrose [. . .] may have a role in the pathogenesis of bladder cancer.” But Project 259 was being funded by something called the “Sugar Research Foundation,” which has organizational ties to the trade association of the US sugar industry. As a result, the study was shelved, the results were kept from the public and it took 51 years for the experiment to be dug up by researchers and published. But this was too late for the generation of victims that The Sugar Conspiracy created, raised on a low-fat, high sugar diet that is now known to be toxic. In other cases, industry secretly sponsors and even covertly promotes questionable research that bolsters claims to their product’s safety. This is the case of Johnson & Johnson, which was facing a potential scandal over revelations that its baby powder contained asbestos. They hired an Italian physician to conduct a study on the health of talc miners in the Italian Alps, and even told him what the study should find: data that “would show that the incidence of cancer in these subjects is no different from that of the Italian population or the rural control group.” When the physician came back with the data as instructed, J&J were unhappy with the form and style of the study’s write up, so they handed it to a scientific ghostwriter to prepare it for publication. The ghostwritten paper was then published in the Journal of Occupational and Environmental Medicine, and the research was cited by a review article in the British Journal of Industrial Medicine later that year, which concluded that there is no evidence suggesting that the “normal use” of cosmetic talc poses a health hazard. That review article was written by Gavin Hildick-Smith, the Johnson & Johnson physician executive who had commissioned the Italian study, dictated its findings and sent it out for ghostwriting. Dr. Hildick-Smith failed to disclose this conflict in his review article, however. The list of such egregious abuses of “scientific” institutions and processes is seemingly endless, with more stories surfacing on a weekly basis. Websites like Retraction Watch attempt to document fraud and misconduct in science as it is revealed, but stories about the corporate hand behind key research studies or conspiracies to cover up inconvenient research are reported in a haphazard fashion and generally receive little traction with the public. But these are not new issues. There have been those warning us about the dangerous confluence of money, government power and science since the birth of the modern era. In his prescient warning, Eisenhower not only gave a name to the “military-industrial complex” that has been working to steer American foreign policy since the end of the second World War, but he also warned how the government can shape the course of scientific research with its funding. Is it any wonder, then, that military contractors like Raytheon, Lockheed Martin and Northrop Grumman are among the leading funders in cutting edge research in nanotechnology, quantum computing, “human systems optimization” and other important scientific endeavors? Or that the Pentagon’s own Defense Advanced Research Projects Agency provides billions of dollars per year to help find military applications for breakthroughs in computer science, molecular biology, robotics and other high-cost scientific research? And what does this mean for researchers who are looking to innovate in areas that do not have military or commercial use? Yes, there is not just one crisis of science, but multiple crises. And, like many other crises, they find a common root in the pressures that come from funding large-scale, capital-intensive, industrial research. But this is not simply a problem of money, and it will not be solved by money. There are deeper social, political and structural roots of this crisis that will need to be addressed before we understand how to truly mitigate these problems and harness the transformative power of scientific research to improve our lives. In the next edition of The Corbett Report, we will examine and dissect the various proposals for solving the crisis of science. Solving this crisis—these crises—is important. The scientific method is valuable. We should not throw out the baby of scientific knowledge with the bathwater of scientific corruption. But we need to stop treating science as a magic 8-ball that can solve all of our societal and political problems. And we need to stop venerating scientists as a quasi-priest class whose dictates are beyond question by the unwashed masses. Arme man, hij had maar één mening en daar heeft hij zijn hele leven mee gedaan.